Registration is now OPEN! Head over to the Registration Page for all the details. Dunbar is proud to host this year's District 1 All Star games. Please see below for the schedule of games and come out to cheer on the Dunbar Majors All Star team! The concession will be open every day that games are played. Our short but exciting baseball season is quickly coming to a conclusion on June 16, 2018. Please note the following details about the closing day parade and schedule. The Closing Day Parade, a highlight of the Dunbar community, begins at 9:30 AM starting at the corner of Dunbar Street and King Edward Avenue. All teams will gather on the King Edward Boulevard, West of Dunbar by no later than 9:15 AM. Just like on opening day, look for a sign with your team’s name. 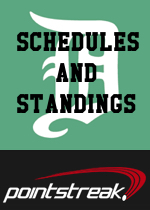 T-Ball teams will be closest to Dunbar and Majors teams will be the farthest West. All players are to come dressed in full uniform. Vintage cars, VPD cruisers and motorcycles, and the Vancouver Canadians mascot will all be on hand. Plus, the weather will be SUNNY and warm. The parade will start at 9:30 AM sharp and will move South on Dunbar Street to Memorial Park. Spectators are welcome to view along Dunbar street. On arrival at Memorial Park, all players and coaches will run onto the Majors Diamond in preparation for Closing Ceremonies. Parents, siblings and friends are invited to watch the Closing Ceremonies from the grandstands or from beyond the fence. 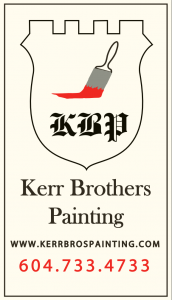 Closing Day JUNE 16, 2018 9:15 AM - All teams gather on West King Edward 9:30 AM - Parade along Dunbar 10:00 AM - Closing Ceremonies 11:00 AM - Minor A and B Championship Games begin 3:30 PM - Majors Championship Game Concession opens immediately following the Closing Ceremony. See you at the ballpark! Be sure to drop by the park this weekend as both the Stong's and Dairy Queen Tournaments get under way. Our concession will be open mid morning tomorrow through till late Monday afternoon and will be featuring a few new items. Due to high demand, starting Sunday, the concession will be serving chicken and vegetarian samosas for $3 each. 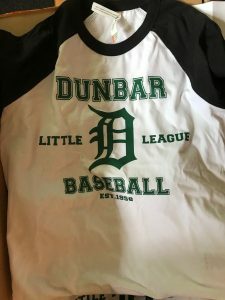 Dunbar Little League baseball shirts (in various youth and adult sizes) are now in and available for $25 (tax included). Finally Last I checked Logan Huttunen had reached 95% of his target. Let's please keep those donations coming in and see him exceed his $10,000 goal. Visit Logan's Gutsy Walk page to donate. Wishing everyone a safe and enjoyable Victoria Day weekend.